Fight your way through vast warzones and immense battles – from tight, urban shoot-outs in a besieged French city to wide-open warfare in the Italian Alps or frantic skirmishes in the Arabian deserts. Engage in large-scale incursions as either ground infantry or while piloting vehicles across land, sea and air – everything from tanks and motorcycles to bi-planes and gigantic battleships. 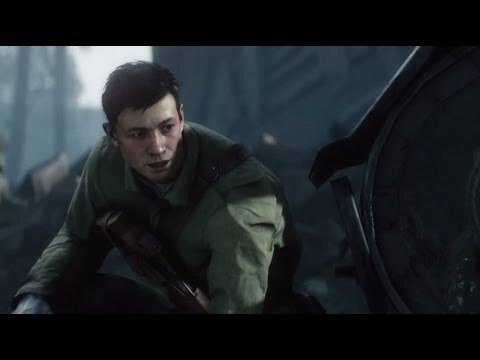 Discover a world at war through an adventure-driven campaign, or join intense multiplayer battles with up to 64 online players, where your play style and tactical skills will need to adapt to the ever-changing demands of a highly-destructible, dynamic environment. Discover a world of warfare and march onto the battlefield alongside your online friends – only with PlayStation Plus. Get access to four upcoming expansions for Battlefield 1, including 16 new multiplayer maps, 20 additional weapons and a range of new vehicles and Elite Classes. 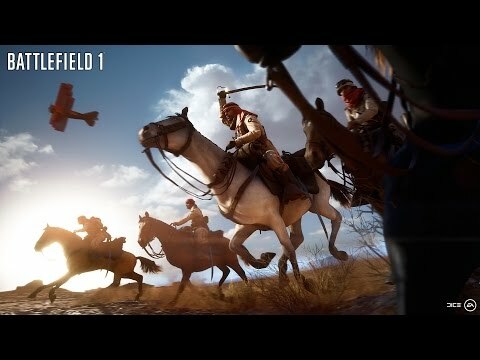 You'll also be able to fight as entirely new global military forces, such as France and the Russian Empire. 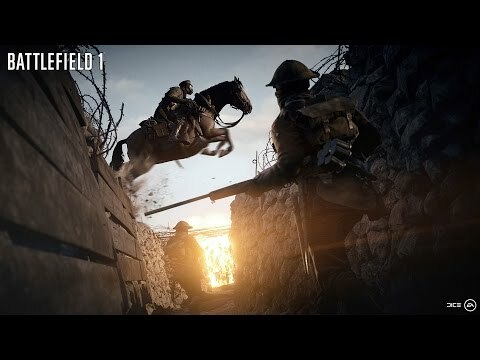 Battlefield 1 Premium Pass also entitles you to 14 Battlepacks and 14 unique dog tags distributed over the coming year and access to all DLC expansions two weeks early. As the great Race to the Sea begins, the French Army joins the fight to defend their homeland from the encroaching German Empire. Close quarter fights and immense tank battles await on the Western Front, in four brand new mulitplayer maps: Verdun Heights, Fort De Vaux, Soissons and Rupture. This downloadable expansion also includes new classes and weapons including the Steel Behemoth tank and the Trench Raider Elite Class. Enter the First World War's biggest combat theatre as the Russian and German Empires trade blows across the Eastern Front. Take up arms in snow covered ravines and a frozen archipelago as Tsar Nicholas II leads the Russian Army in a wave of counter offensives. This downloadable expansion includes four new multiplayer maps as well as additional weapons and outfits. Embark on daring amphibious warfare as you join the British Royal Navy in an attempt to block German seafaring forces in the Belgian port of Brugge-Zeebrugge and secure Gallipoli's Dardenelle Strait for Allied forces in Russia and Europe. This downloadable expansion includes four new multiplayer maps as well as additional weapons and Elite Classes. Go 'over the top' in some of the First World War's most notorious and bloody battles to conquer bitterly contested ground on all fronts with a brutal range of new and unique weapons. This downloadable expansion includes four new multiplayer maps as well as addtional weapons and vehicles. Experience war on an unprecedented scale. See thrilling horse charges go head to head with imposing battle tanks and armoured freight trains. 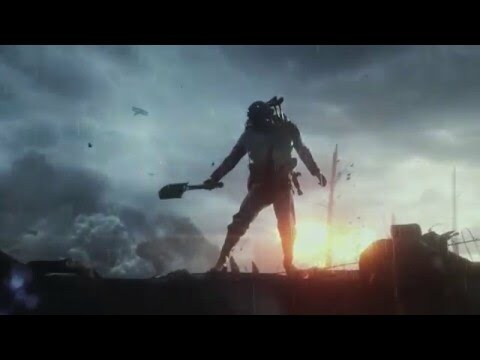 Discover the adventure-filled campaign in Battlefield 1. Witness the dawn of all out war on PS4. 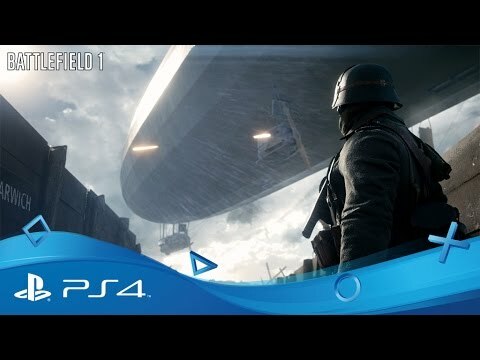 Buy Battlefield 1 on PS4.